With so many new restaurants in Perth, you can be forgiven for getting slightly confused about your options. And now coastal dining is finally taking advantage of our spectacular ocean views. Whether a life-long Perthian, recent import or temporary visitor, this guide can help you figure out where to go to eat the best food & drinks overlooking the glorious Indian Ocean today. Click on the orange underlined venue name to view their menus. open: 7am to Midnight, Every Day. Boasting glorious panoramic views of the Indian Ocean, Hamptons City Beach have embraced their coastal surrounding in a tasteful, yet lively space to relax. They specialise in fresh and local produce and seafood while focusing on seasonal and sustainable ingredients for their menu. The Hamptons delivers great service, has room to host up to 450 people and has layers of different seating options. They have a stocked bar, a cocktail lounge, outdoor seating and a great menu for breakfast through dinner. Whether you are looking for fried chicken on sweet potato waffles for breakfast, spicy crab chowder, fish and chips or braised beef ribs, you will find it here. Rise Pizza offers a relaxed beach atmosphere with stunning Indian Ocean views. Put your creativity to the test with personalised pizza and customised salads. Start with one of three choices of crusts (including gluten-free) and add one of half a dozen or so sauces. Then you have a half dozen or so cheeses (including vegan), a dozen protein options, a plethora of vegetable choices and top it off with an “after bake” topping! Also great to have some drinks while enjoying the magnificent City Beach ocean view. They also rapid cook in 3 mins! Offering a “full dining experience” with complementary stunning views and sunsets, North Beach Deli should feature highly on your list of options. Whether you are more interested in a traditional breakfast or hankering for something more exotic, you will find something to appease your appetite. Their lunch menu is another adventure waiting for you. When you are done eating, take a stroll through the deli and fill your fridge or pantry before you go! Occupying the perfect spot to admire ocean views, Canteen trig offers both inside and alfresco seating for your enjoyment. With an onsite natural playground and location right next to the beach, it is a perfect environment for taking the whole family. Enjoy traditional fish and chips or more exciting dishes such as Fish Poke or Seared Haloumi Salad Tray. Also open for breakfast, Canteen Trigg is definitely worth checking out. Coast Port Beach is “everybody’s beach house” combining industrial marine decor with fabulous views of the ocean to help you relax. Featuring seasonal WA produce and freshly harvested seafood, Coast Port Beach does a great job of combining sun and sand in a “smart casual” atmosphere. open: noon until late 7 days a week; brunch from 9am weekends and public holiday. If you wondered how to combine your love for Italian food, seafood plus unrivaled views of the ocean, look no further than Toms Italian! From pizza, pasta anD gnocchi to prawns and calamari, you will enjoy a marriage of flavours worth returning for. 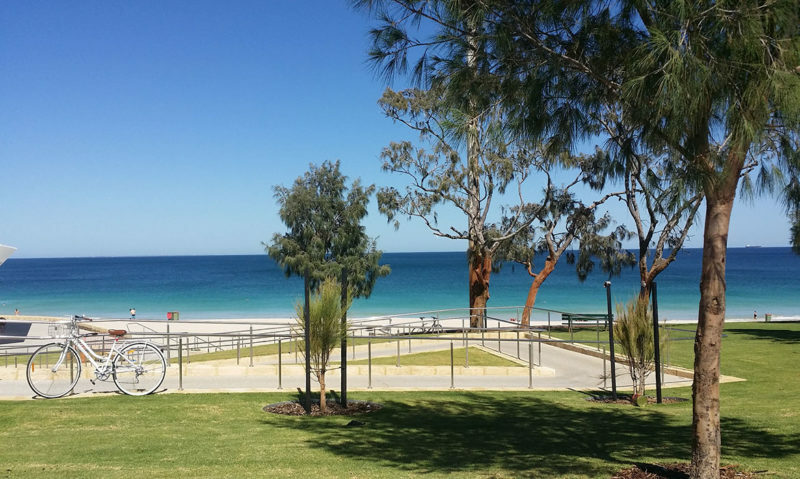 “Watch the waves roll in” and enjoy the best Western Australia has to offer this summer. With a focus to make everything (possible) in-house and feature local and seasonal food, you can not go wrong at Odyssea. After a great swim at the beach, this is a great way to unwind and enjoy the widely-varied and extremely popular menu. Regardless of what you are seeking in ocean-front dining, you are sure to find something new and enjoyable at Perth’s newer Ocean restaurants. We miss something out? Do you disagree? Let us know in the comments below.